Le sigh. 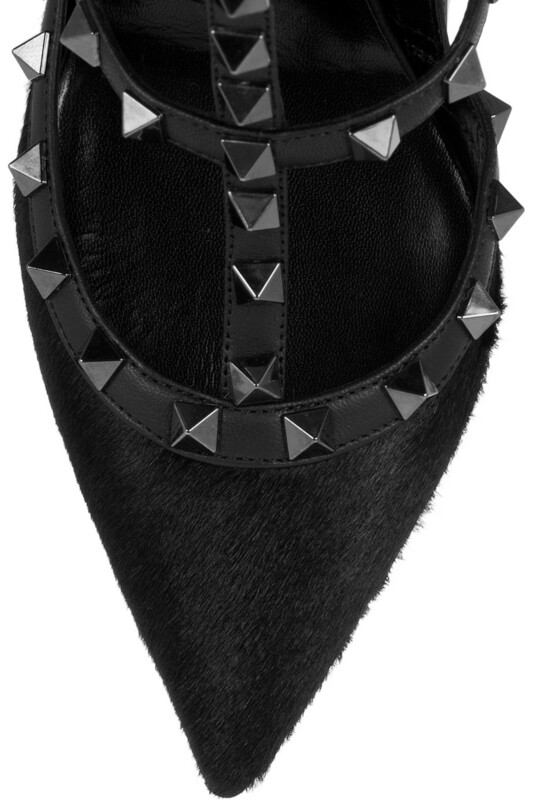 I’ve fallen head over heels (pun intended) for Valentino’s accessories. I may have my eye on the studded tote but I’ve been crushing on the subtly studded heels for a couple of seasons now. I didn’t think they got much more beautiful than the pale pink pair – the hard, shiny studs were a nice contrast to the pretty pink colour – but my goodness, the black calf hair version are just perfection. The gunmetal studding gives an edgy feels to an otherwise classic heel. What do you think of the autumn/winter update of the Valentino shoe.